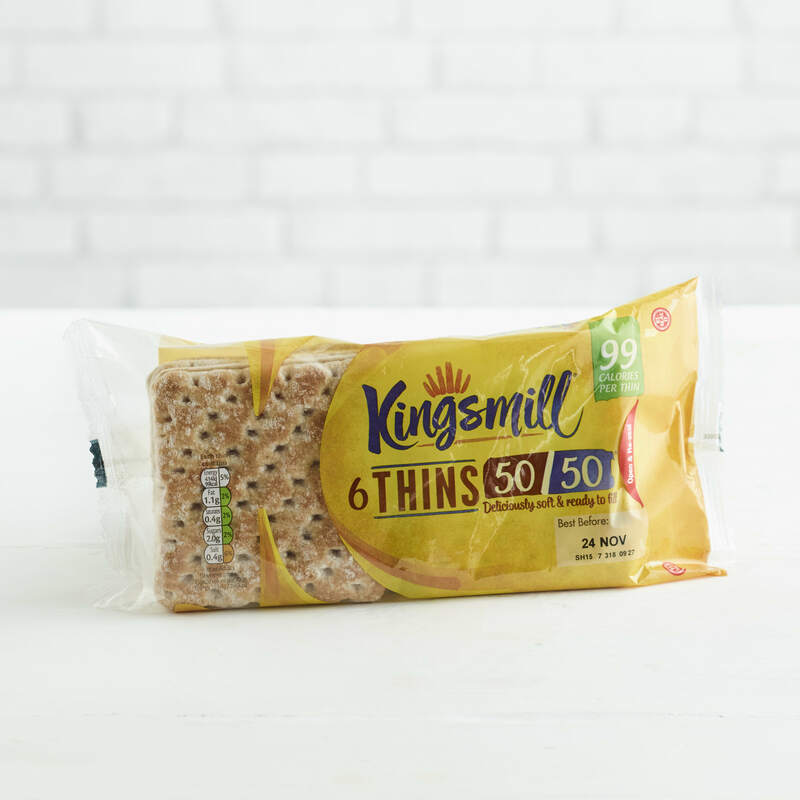 Kingsmill 50/50 sandwich thins are a great way to liven up your lunch. At 99 calories per thin, they're a great way to enjoy a lighter snack or meal. 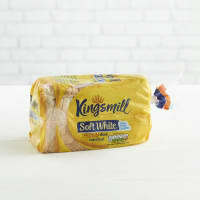 Wheat Flour (31%) (with calcium, iron, niacin (B3) and thiamin (B1)), Wholemeal Wheat Flour (31%), Water, Yeast, Wheat Protein, Dextrose, Vegetable Oils (Sustainable Palm, Rapeseed), Salt, Sugar, Emulsifiers: E471, E481: Soya Flour, Vinegar, Stabilisers: Xanthan Gum, Cellulose Gum: Preservative: Calcium Propionate (added to inhibit mould growth): Flour Treatment Agents: Ascorbic Acid (Vitamin C), E920. Store in a cool dry place - ideally not refrigerated. 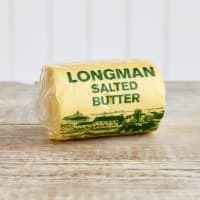 Once opened, store in an airtight container and consume within 48 hours. Under warm conditions life may be reduced. Suitable for home freezing. Place in freezer as soon as possible after purchase and consume within 1 month.